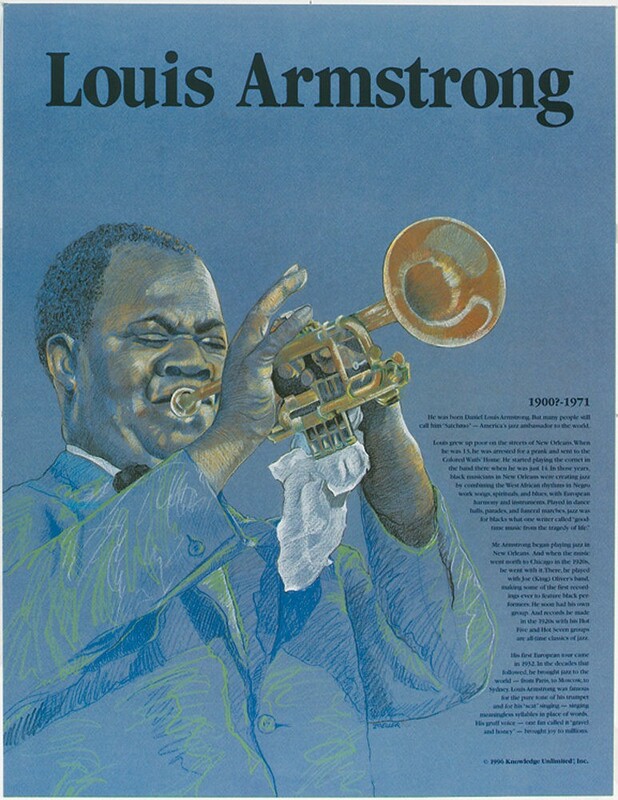 This educational poster of the great jazz musician Louis Armstrong features a striking artist's illustration of him, along with biographical text that details his life and accomplishments. Louis Armstrong, known as "Satchmo" to his fans, grew up poor on the streets of New Orleans. But his talent couldn't be hidden. 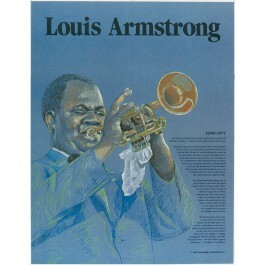 He became one of the most successful jazz musicians and performers of all time. He made his first European trip in 1932, and has been called America's jazz ambassador to the world.